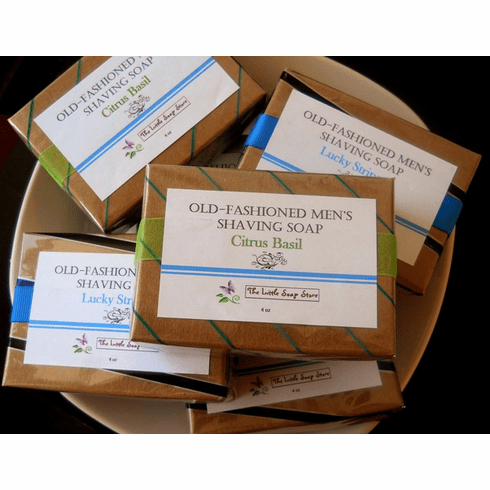 This round, old-fashioned, shaving soap gives off a wonderful and creamy lather. It is made with glycerin soap, natural clay, vitamin E, and olive oil and is approximately 4oz. We have two fragrances, Citrus Basil and Lucky Stripes. The Lucky Stripes soap is our impression of Aquolina's Blue Sugar. Does not include shaving brush. Comes in a wrapped box and ready for your gift-giving!